It’s always nice to start the New Year off with hope. 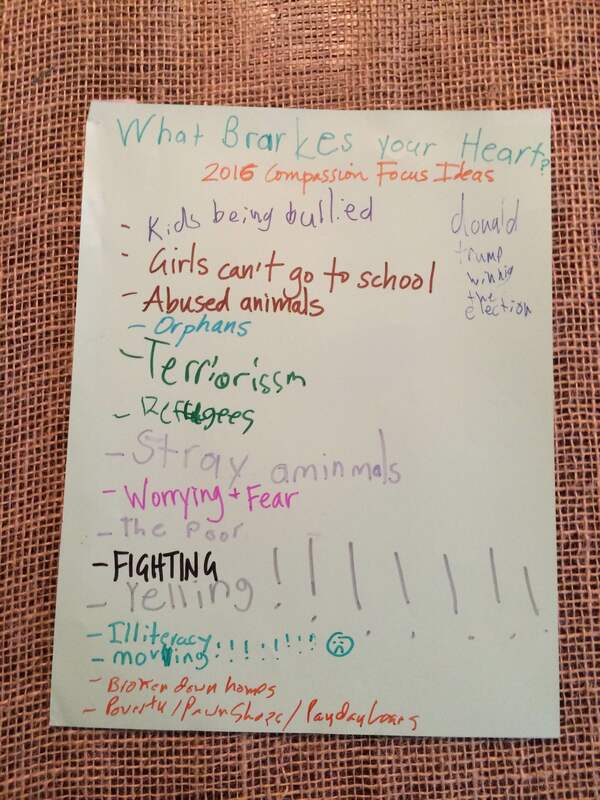 In 2016 we did this with the help of bacon, our best friends, and a new Family Compassion Focus. As I’ve mentioned so many times before, last year was tough. Moving, grieving, re-starting. We have a lot more reflecting to do, but I think we learned more about compassion by needing it instead of giving it. We were hurting and needy, and felt love from old and new friends, God, and each other. I think that’s going to shape things for a long time. This was our fifth time officially choosing a Family Compassion Focus. The first time we decided to intentionally pursue compassion as a family we voted to love and serve Orphans (you can read about that choice here). Last year we voted to love and serve Haiti (you can read about that vote here). We put our blank pages on the fridge early in the week and all added ideas at random times (you can read about the whole process here). I think this is the first time our kids understood there is no such thing as a bad idea. No one mocked anyone’s suggestions (or spelling). No one cried. Rejoice in the small victories, even if it takes 5 years. What Breaks Your Heart – I hope my family isn’t the only one that has ‘fighting’ and ‘yelling’ on their list. And the Donald Trump comment cracks me up. 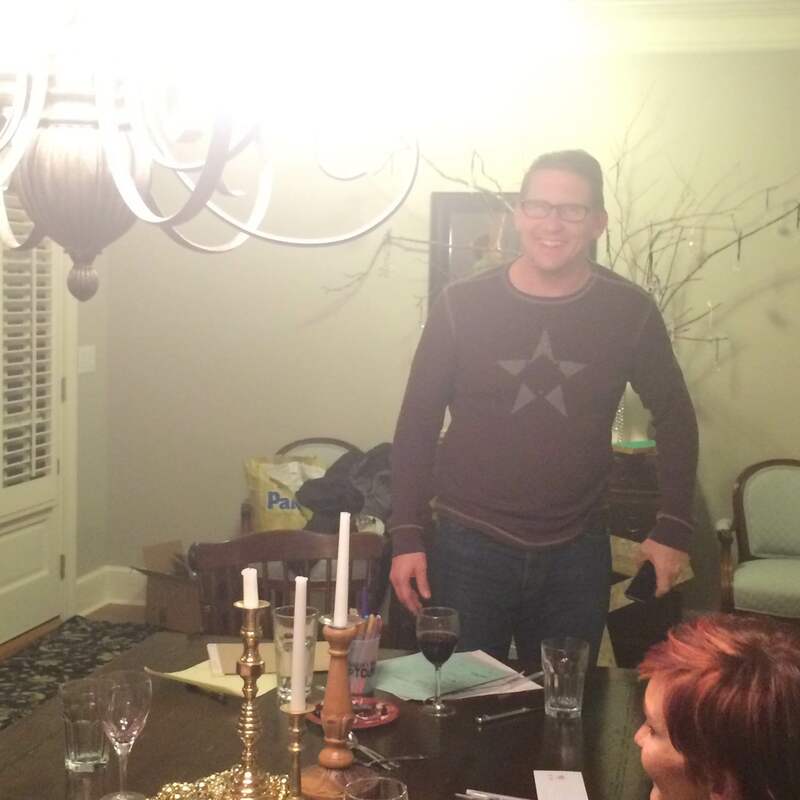 I fear change, and my family’s reaction to change, so I planned to do New Year’s Day exactly like we did last year. Of course that didn’t happen. I slept through breakfast, made our traditional candied bacon around noon, and announced that our birthday cake for 2016 and the Family Compassion Vote would be at dinner. I set a fancy table, because it’s our tradition, and makes it different than a regular day. Coordinated a simple meal (hamburgers) and enlisted help. Found last year’s questions, got rid of 6, added 2. Only 10 total. Wrote them on index cards. Got markers and paper for Word of the Year. 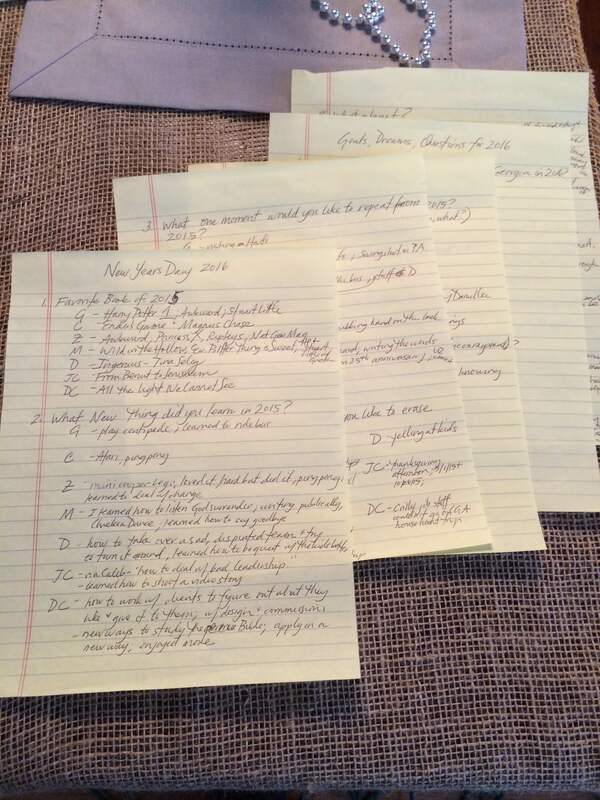 Got index cards and pens for voting on the 2016 Family Compassion Focus. Found candles for 2016’s birthday cake. Everyone got their burgers and chips and carried them into the dining room. While we were eating we went around the table asking the 10 questions. Everyone had to answer. It was a delight to have our chosen family, The Crillys, with us for New Years. Then we quickly cleared the dirty dishes, gave everyone a blank piece of paper and a bunch of markers in the middle of the table. Everyone wrote their Word of the Year and illustrated it in some way. I cannot wait to see how these words come to life in 2016. Then we sang Happy Birthday to 2016, had a chocolate cake by Zoë, homemade butter pecan ice cream by Chris, and homemade hot fudge by Danielle. Then it was time to Vote. Chris read the lists we had written throughout the week. He asked for clarification in some spots. It was mostly facts and affirmation. Then he asked to write down our top 3 choices and turn them in to him. Then Chris announced the winner. 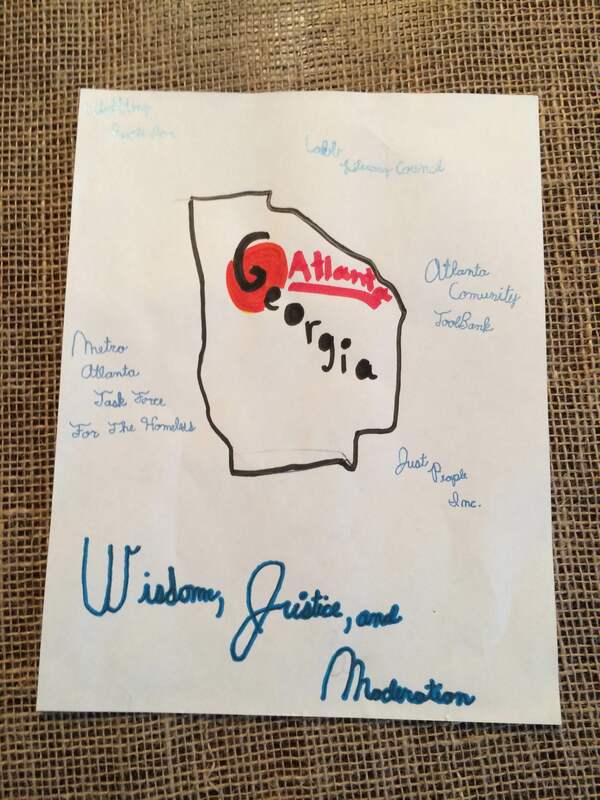 Our 2016 Family Compassion Focus is Georgia! Chris and I sat there blinking, as we normally do. Our friends laughed with us. 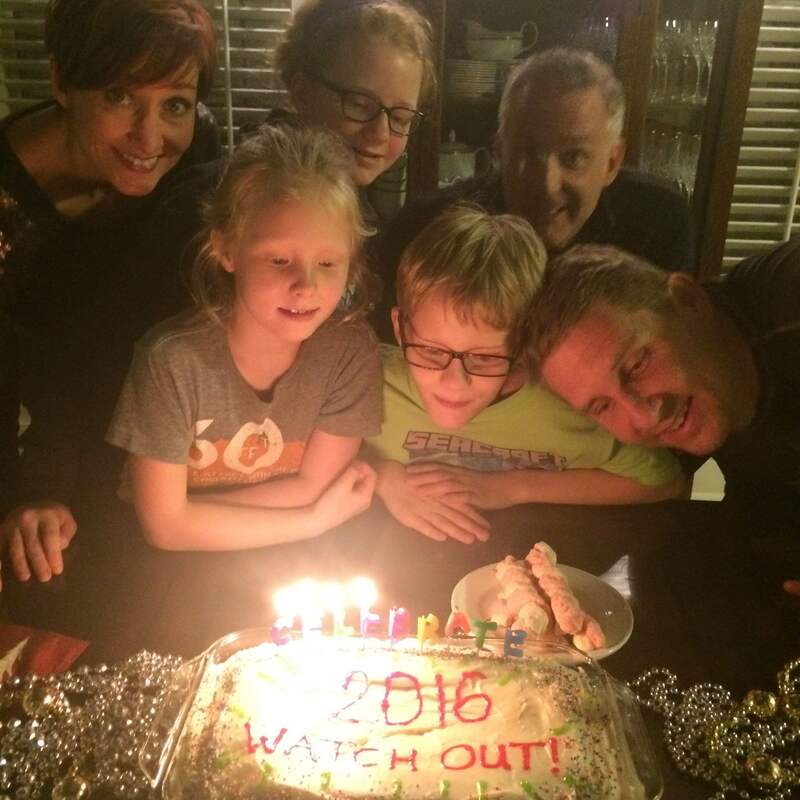 We prayed for God to teach us in 2016. That we would grow in knowledge, understanding and love, for all kinds of people in Georgia. We cheered and clapped. Then, with smeared chocolate on our faces and full hearts, we finished. We will spend the next couple of months researching amazing organizations in our town, county, big city, and state. 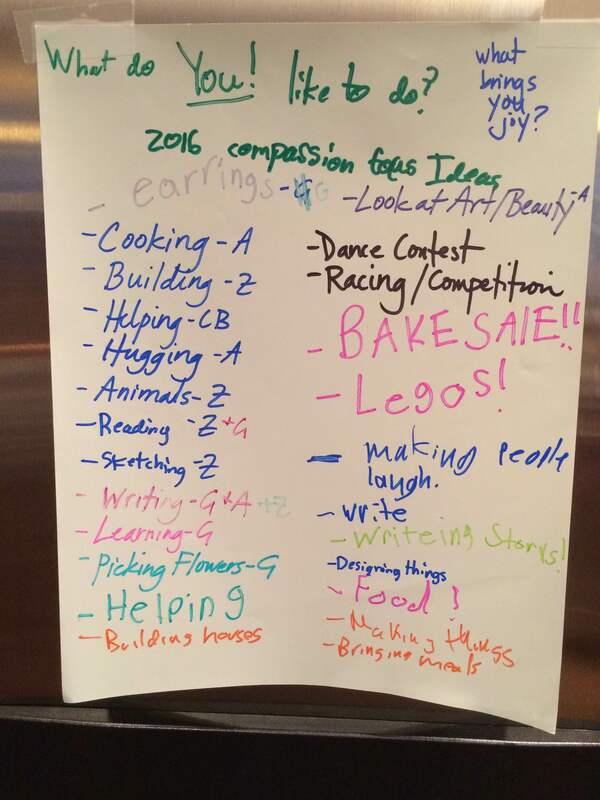 After researching, we are going to let each kid pick a group they want to love and serve, and we will all support each other in compassion experiments (this was powerful for us in 2014 when we focused on homelessness, more here). We expect to be surprised. We always are. Zoë whipped this up yesterday. What about you? Do you want to experiment with compassion this year? We’d love to learn with you. We’d love to learn from you.